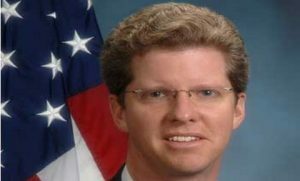 President Barack Obama has selected Housing and Urban Development Secretary Shaun Donovan to supervise the government’s long-term Hurricane Sandy recovery programs, GovExec reports. Citing a statement from Obama, Kedar Pavgi writesDonovan will work with the Federal Emergency Management Agency and other agencies under the National Disaster Recovery Framework. The programs will benefit from his experience working for New York City’s Department of Housing Preservation and Development, the statement said. FEMA will continue leading disaster relief projects in eastern New Jersey and New York Cit, according to GovExec. The agency also released the the National Disaster Recovery Framework as a coordination guide for federal agencies and their local counterparts for community rebuilding of disaster-hit areas. Please tell me how I could join your Hurricane Sandy Coaltion Task Force in making our Homeowners Insurance system work. Our system is broke, but we can fix it. I have spent 30 years in the insurance industry as a NYS Licensed Insurance Broker, with a College of Insurance Bachelor’s Degree in Risk Management/Insurance, and a victim displaced by Hurricane Sandy as a resident of Ocean Breeze Staten Island. My family suffered 3 cars totaled, 2 homes shattered by 4 to 8 feet of water in both home, and we were displaced for 4 weeks with our 2 small children. I knew Hurricane Sandy would come from our loss frequencies, yet until our system is fixed there is very little that insurance brokers can do with so few carriers willing to write Staten Island since Hurricane Katrina hit New Orleans. I have much to say on why NYC Hurricane Deductibles need to be eliminated, as they would never work, and only leave our residents with a huge impedement without recovery. We need our Federal Government to implement U.S. Reinsurance Companies, as our allies in Germany, France, and England pioneered for us to remove this constant financial burden on our Federal and State Governments regarding Flood/Muddslide Insurance, Back-up of Sewers Endorsements & Earthquake/sinkhole/collapse endorsements on homeowners policies, Medicaid for Long Term Care/Nursing Home patients with Alzheimers, Mental Health Issues in need of coverage for patients who are either victims or contributors of domestic violence and even the Gun Control debate how social networking can be funded through reinsurance to help people in need of counseling. I am a huge fan of yours and President Obama’s, voted for his 2nd Term on the P.S. 52 Basketball Court on Buel Avenue, in a TENT wearing gloves in the freezing cold scanning my vote for him on 11/06/2012. I was so proud to see him in our backyard, just 2 miles from my home, at Miller Field, Staten Island. He picked the right person, with you heading up this coalition. You were the most bi-partisan speaker on C-Span, discussing with the GOP Congresswoman of Maine on your willingness to review wood-chips to as a heating resource. Please let me help our residents here from my experience…we can make our system work. My phone number is (347) 524-1915 or send me an email. Though I am a NYS Licensed Agent for State Farm, I wish to not impose my views on my employer, but more so as a liason as a victim and a resolver for our industry.